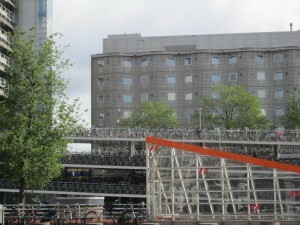 If you think there too many bicycles in Amsterdam – you are right. 3-level parking for bicycles near main train station. 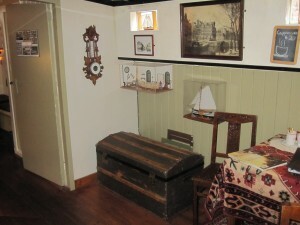 One of the most unusual place to visit is a very small Boat Houses Museum. If you like the idea about living in the boat-house, you’ll find it really interesting. 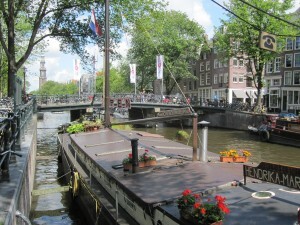 There are more than 2000 boat-houses in Amsterdam, building new is not a problem, but all possible parking places are now occupied, so it is not possible to build a new house, but one can buy existent one. The price is typically lower (200000 Euro) than for the normal house, but yearly maintain is higher (500-1000 Euro). It is good located – check visitors information here.